H.E Mr Akira Sugiyama the Ambassador of The Embassy of Japan in Sri Lanka was the Chief Guest of the Sri Lanka National Baseball League Championship Final. 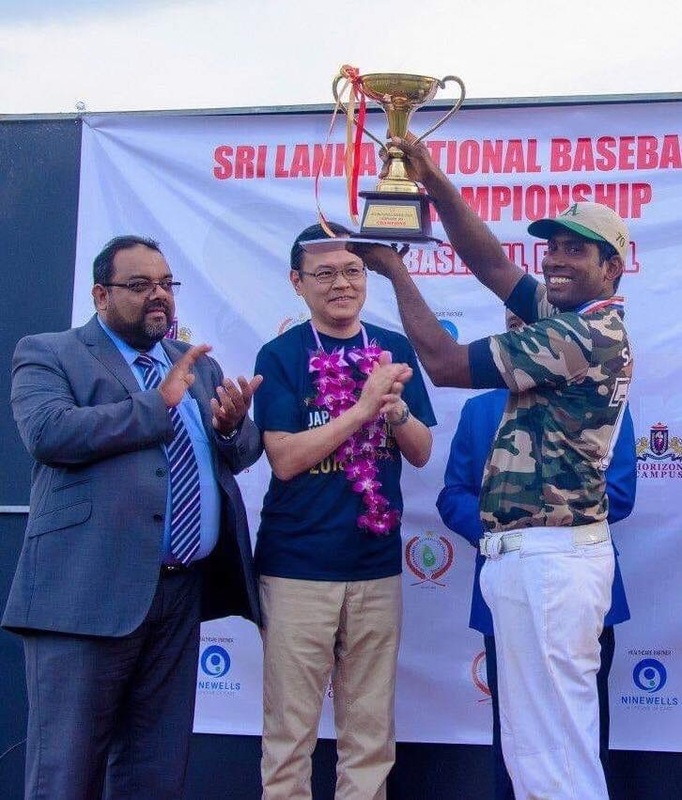 Sri Lanka Army defeated defending Champion SL Navy 7-5 to won the Sri Lanka National Baseball Championship 2018. Sameera Rathnayake Captain of Sri Lanka Army received the championship trophy from the ambassador. The tournament consisted of 8 teams and kicked off last November as selection for the West Asia Championship heats up. Army were the favorites heading into the final as their team consisted of a few Sri Lanka National players. Staying true to the favorites tag, Army defeated fellow rivals Navy to claim the big prize. Army dominated the awards list as Thushara Wickramasinghe was the only name from the Navy outfit on the list.